TIME's "Game of Thrones" spotlight reveals some interesting, if ambiguous, teases about a major battle in Season 7. Plus, quotes from the cast on their characters. With the July 16 premiere of “Game of Thrones” Season 7 quickly approaching, HBO has been amping up marketing for the show. There have been action-packed new trailers, clips of the main cast cheekily singing “I Will Survive,” and a series of posters showing the cast bathed in icy blue, reminiscent of the Night King and his army of undead. With just 13 episodes left until the last hurrah, the hype for “Game of Thrones” is at a fever-pitch. To capitalize on this, TIME magazine has released a “Game of Thrones” issue filled with exclusive photos and behind-the-scenes coverage of Season 7 from television critic Daniel D’Addario. 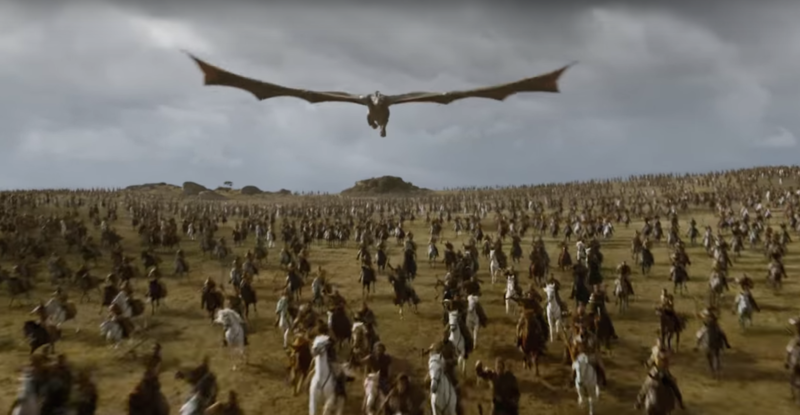 Although HBO is notorious for keeping a lid on spoilers when it comes to one of their most prized properties, there are plenty of interesting tidbits in the article just tantalizing enough to make it ripe for speculation, especially where this giant battle scene is concerned. The mention of cold weather is especially interesting when considered alongside this parenthetical tidbit that D’Addario sneaks in: “‘Thrones’ has been promising this clash all along, and when the time comes, the Internet will melt.” Could the White Walkers have finally made it to the Wall? Of course, Jon Snow has already had a run-in with the Night King, specifically when the White Walkers attacked Hardhome in the eighth episode of season five, but this could be the big battle we’ve been waiting for between the living and the dead: Winter isn’t coming, it’s here. Read more from the “Game of Thrones” cast over at TIME.